Do you provide sedation for nervous patients? 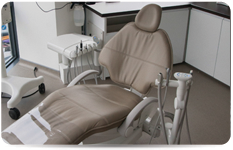 At Riverpoint Specialist Dental Clinic, dental treatment under sedation can be provided on request. We offer numerous sedation techniques, including oral sedation, inhalation sedation and intra-venous sedation. The most suitable sedation technique for you can be determined when you attend the clinic. Are treatments in Riverpoint tax deductible? 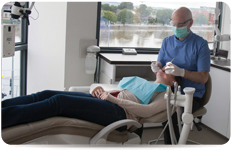 Some treatments provided at Riverpoint Specialist Dental Clinic are tax deductible. Please refer to the appropriate page on the website to check if you are entitled to a tax rebate for your specific dental treatment. The cost of consultations and assessments at Riverpoint Specialist Dental Clinic are not tax deductible. Are late evening, early morning appointments available? Late evening and early morning appointments are available for emergency dental treatment and procedures on request. Riverpoint Specialist Dental Clinic operates during normal weekday opening hours on alternate Saturdays for Endodontic clinics. Emergency Saturday appointments for other dental problems are available on request. Yes, Riverpoint Specialist Dental Clinic has been designed to accommodate wheelchair users and patient’s with limited or impaired mobility. There is direct wheelchair access to the Riverpoint building foyer from Lower Mallow Street, via ramps. The clinic itself is directly served by an elevator from the building’s reception area.